You love being close to the city center? We do too! Our apartments are located in the inner districts of Vienna (districts 1 to 9). So you are right in the center and do not miss anything. 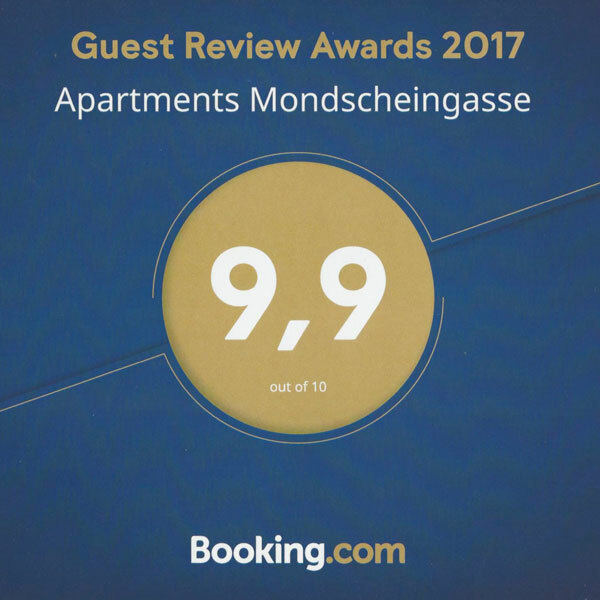 You can find out which apartment is the best for you on our homepage or we can help you to find an apartment according to your needs. Arriving late in the evening? Or very early in the morning? No problem! We prepare everything for you and you check in very comfortably with our key box. You will receive all information in advance via e-mail. Do you prefer a personal Check-in? Then we would be happy to welcome you personally. We want to make our guests feel comfortable. That is why we put emphasis on first-class and tasteful furnishings. Our handmade boxspring beds help for a relaxing sleep. Our kitchens are fully equipped with Nespresso coffee machine, toaster, water kettle, stove, oven, cutlery, dishes and kitchen utensils. For streaming, surfing and chatting with up to 5 devices, our apartments have high speed Internet. Our invoices state the value-added tax and we will send the invoice by mail or e-mail. Depending on your requirements, you can pay by bank transfer, credit card, cash or bank debit. If you like Vienna as much as we do and you want to stay a bit longer, we can extend your stay without problems. The city keeps you in motion, so that there is no time for cleaning the apartment? No problem! We also offer intermediate cleanings as well as the change of bed linen and towels. Feel free to contact us. Nightlife, shopping, theater and restaurants in Vienna, we know all too well. And we will be happy to give you tips to experience Vienna.